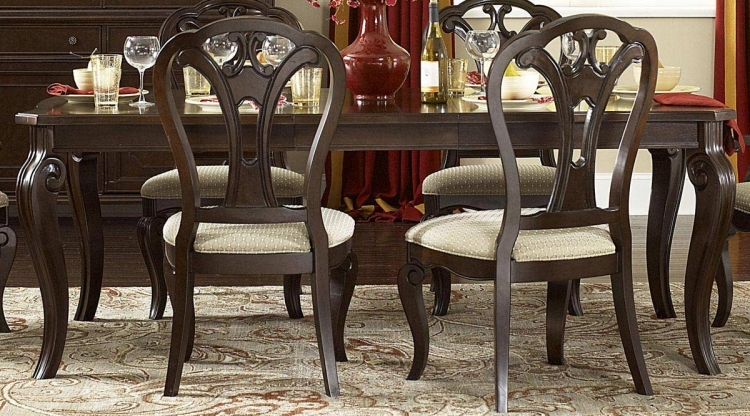 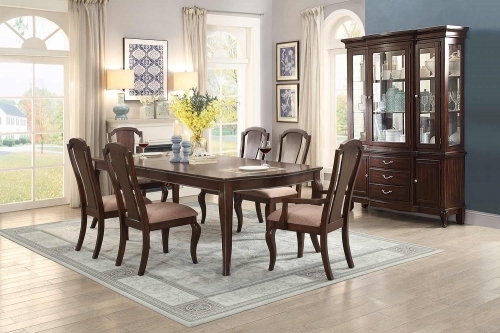 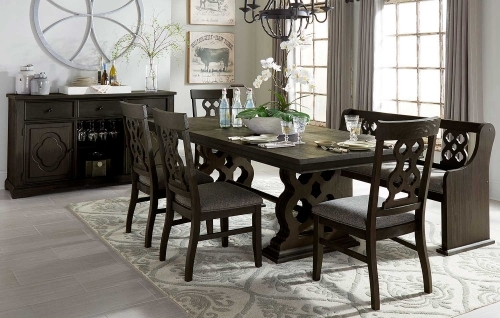 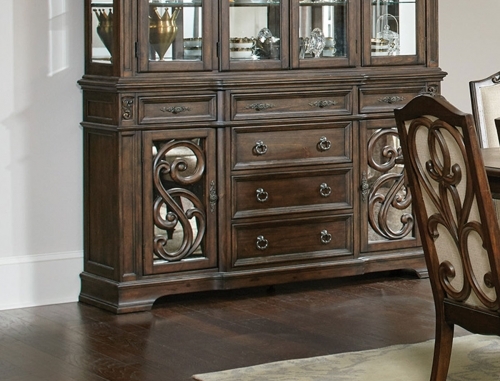 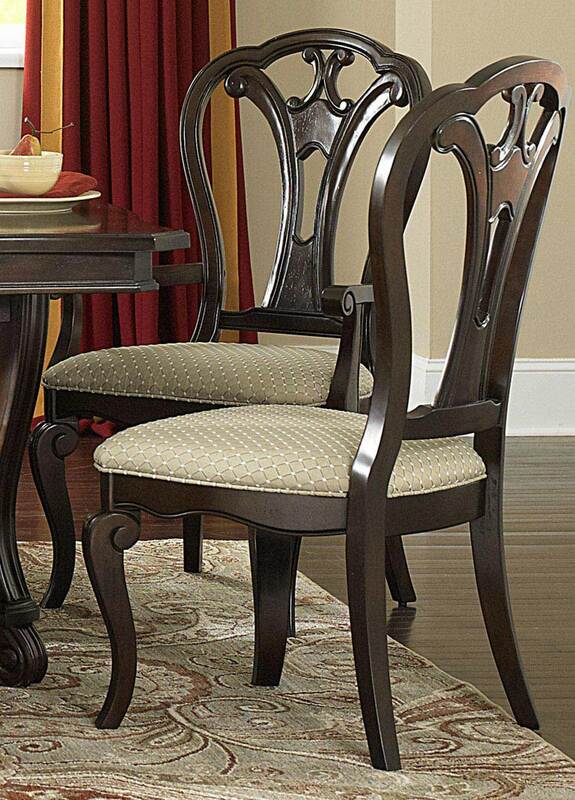 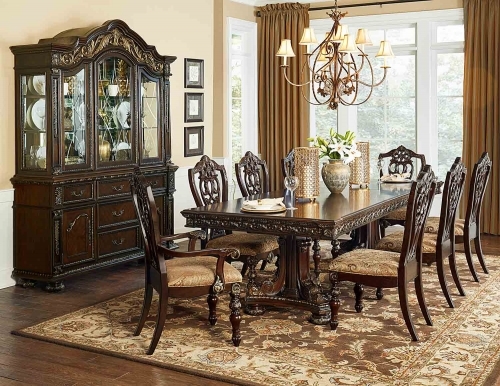 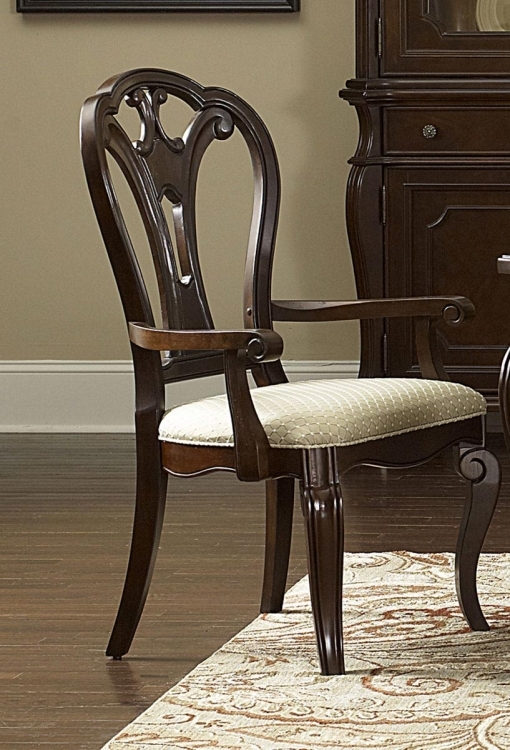 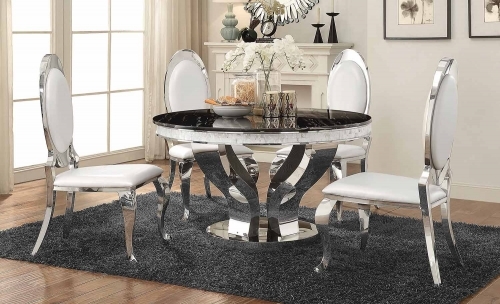 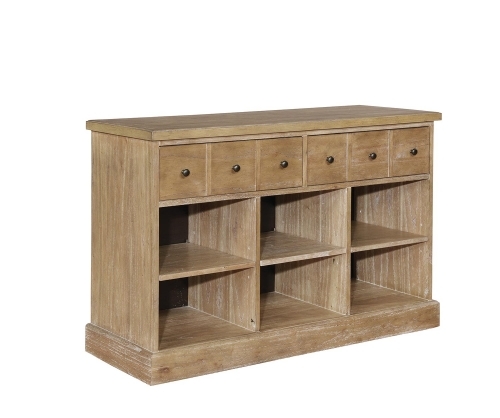 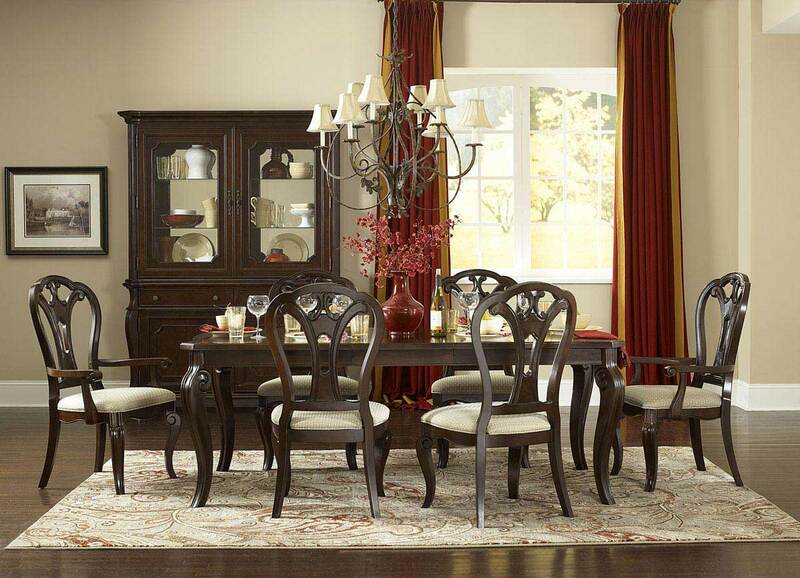 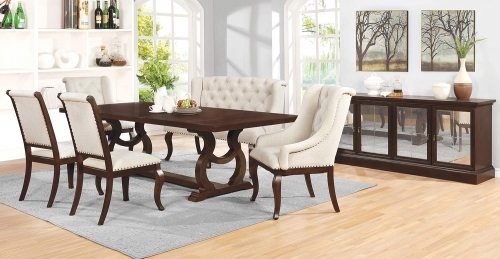 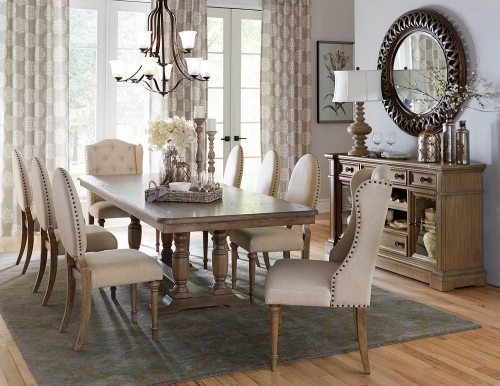 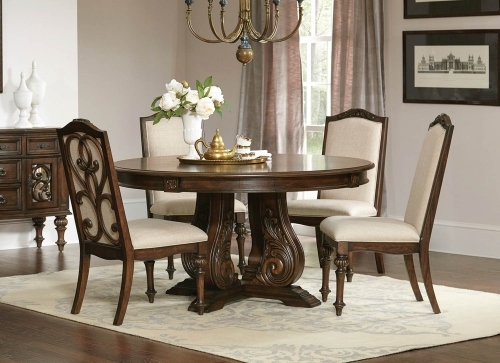 With its cosmopolitan flair and hint of the antique, the Grandover Collection brings elegance and grace to the dining room. 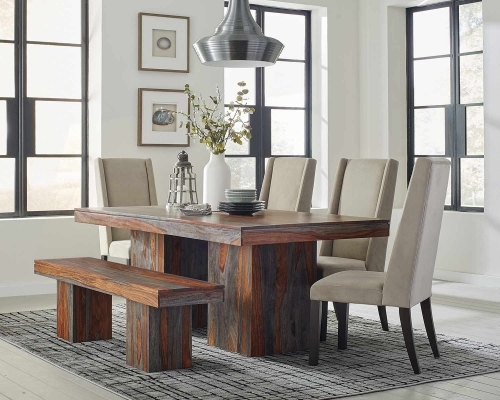 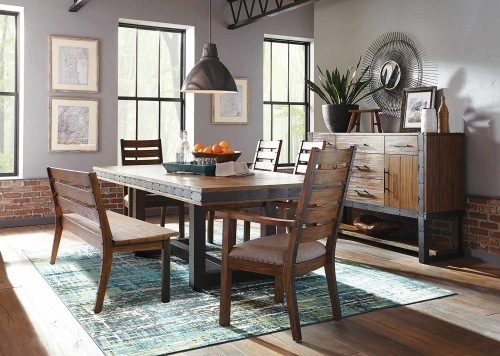 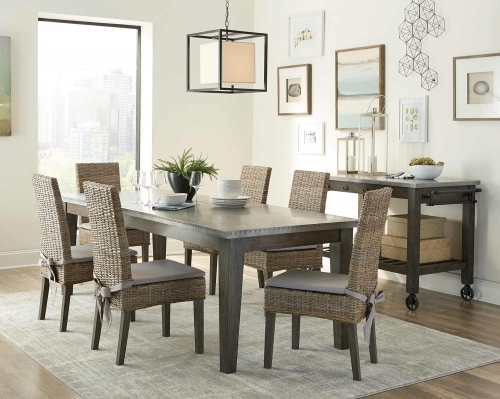 Boasting a rich dark cherry finish, the rectangular trestle table can comfortably seat ten people, a combination of side and arm chairs or simply side chairs. 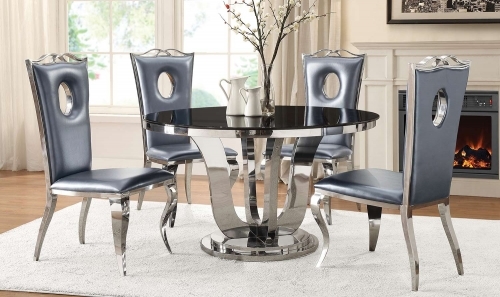 Table and chairs available for purchase either as a set or separately.